The Aérobar in the airport departure lounge is open all year round, including public holidays, from 5 a.m. to 10 p.m. non-stop. Sandwich bar, sweet breads and buns, and hot and cold drinks. ISO 9001 certification. 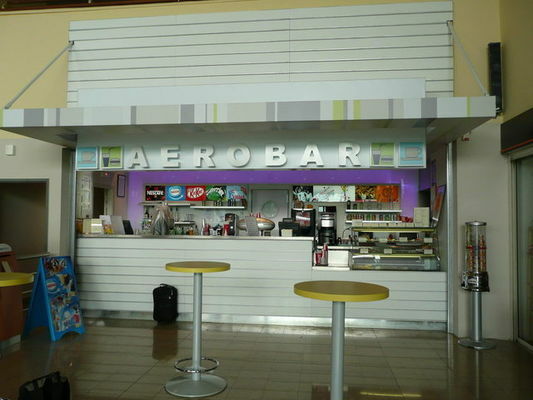 Environment / Access : Bar located in the departure lounge (go past the border police with your boarding card).